Put the conference in your pocket! Thanks for registering for The Art of Placemaking Conference. We are excited to have you join us in the Providence, the Creative Capital, for two days of exploring one of the most important questions facing creative placemakers today: how do we measure, evaluate and communicate the impacts of our work? 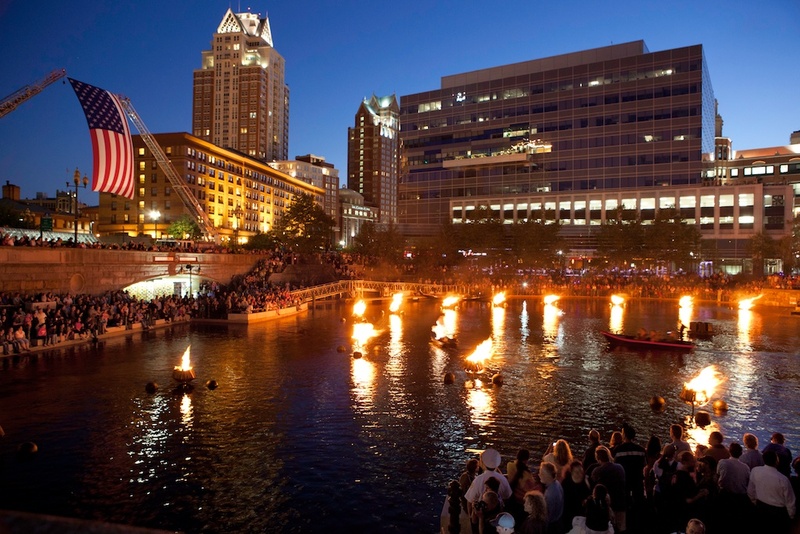 Right off the top, we want to remind all conference participants that our final full WaterFire of the 2013 season is Saturday, November 9, 2013. We hope many of you will stay and join us as either a volunteer or guest. We planned this conference around a WaterFire lighting to give participants the opportunity to have an upclose experience with the event. In honor of Veterans Day, Saturday’s event will be aWaterFire Salute to Veterans. If you are staying and would like to be involved during the daytime build or evening event, please email Peter A. Mello, managing director (peter@waterfire.org). Please don’t miss the invitation only Welcome/Registration Reception on Wednesday, November 6 from 6 – 9 PM in the penthouse of The Residences. Not only will you have the chance to meet many of your fellow conference participants but there will also be a number of local arts and community leaders on hand to welcome you to the Creative Capital. The Residences are conveniently located adjacent to The Omni Providence, the conference hotel, and the reception venue provides the best vistas in the entire Ocean State. There will be refreshments, food and entertainment on hand. This will be a great way to start our time together. Space is limited for this event and only RSVPs will be admitted. We have an incredible line up of presenters and discussion leaders. Check out The Art of Placemaking Conference website for an updated schedule as well as bios of each presenter. Please note that The Art of Placemaking website is moblle friendly so it should work well on your smartphone. If you have not shared your Twitter ID with us yet, please follow us at@PlacemakersUS, @WaterFireProv and @petermello and we’ll follow you back and add you to the The Art of Placemaking Twitter List. Today no conference is complete without a social media hashtag and for The Art of Placemaking Conference we decided to use one that reminds us about the power of creative placemaking to build and change community. So when you update Twitter, Instagram orFacebook about the conference, please use the hashtag #Art4Impact. Some of you coming to The Art of Placemaking may be first time visitors to Providence. We have put together some great tour options for our conference attendees to get to know our fabulous city. Check out our blog post: Explore Providence The Creative Capital! 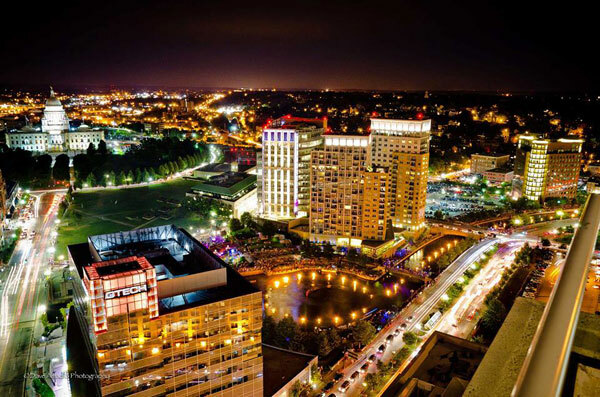 So if you are new in town, a frequent visitor, or even a local, we hope you take advantage of all of the arts, culture and night life Providence has to offer. Also check out our Ignite Providence website for our curated recommendations of arts & cultural events taking place during your stay in Providence. Events include performances by Kronos Quartet, Festival Ballet Providence; The Weekly Salon at the Providence Atheneum; the CRAFTOPIA Holiday Show; and more. We suggest parking at Providence Place Mall if you are attending the Welcome Reception on Wednesday evening for the most economical choice. Daytime parking during the conference is available at the Convention Center ($12/day) or at the Mall ($20/day). Convention Center parking $12/ day parking $18/ overnight parking (however, if you pull your car, you need to pay hourly. See rates on this link: http://www.riconvention.com/attend/directions-parking/ The best area to park at the Convention Center Garage is the fourth floor EAST. This is the floor which is connected to the hotel. 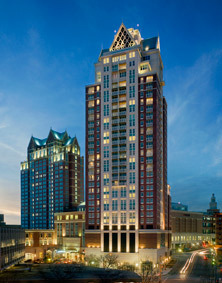 Providence Place Parking Rates: 0-5 hours: $2; 5-8 hours: $10; 8-20 hours: $20; 20-24 hours: $25. If you park longer than 24 hours, the cost would be $25 plus any additional hours (please follow the hourly rates above). Uber Providence – We’re a big fan of Uber, a WaterFire Providence sponsor earlier this year. Download the Uber app here.